Hawking described President Trump's election as a definite swing to a right-wing and a more authoritarian approach, according to a CNN report. 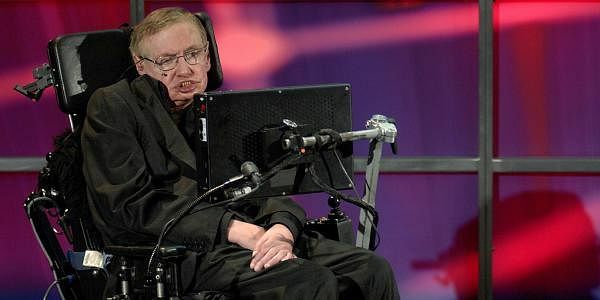 NEW YORK: British scientist Stephen Hawking has admitted to his fear of not being welcome in the United States anymore, with Donald Trump being President. Hawking described President Trump's election as "a definite swing to a right-wing" and a "more authoritarian approach," reports CNN quoting his interview with ITV's Good Morning Britain. His comments about the US President resemble to those he made in May last year, before Trump became the Republican nominee. At the time, Hawking described Trump as "a demagogue, who seems to appeal to the lowest common denominator." Taking a critical stance on Scott Pruitt, who was appointed as the head of the Environmental Protection Agency, Hawking said that the man did not believe that carbon dioxide causes climate change and called for his replacement. "Climate change is one of the great dangers we face, and it's one we can prevent. It affects America badly, so tackling it should win votes for [Trump's] second term, God forbid," he said. Hawking also did not mince words for Britons who voted to leave the European Union in last year's Brexit referendum. "A main worry for the British people was the feeling that Eastern Europe migration would take their jobs and undercut their wages. The majority voted accordingly and I see this as short-sighted. A hard Brexit would leave us isolated and inward looking," he said. When assked if he believed he was the most intelligent person in the world, Hawking gave an ideal witty response, “ I would never claim this. People who boast about their IQ are losers."